At CCDC, we understand that special kids require special treatment. We take pride in helping the special needs children of Casper with their oral care. We personalize each visit and schedule each special needs patient their own individual time with us in the clinic. The personalized attention often leads to less stressful environment for the patient and parent. 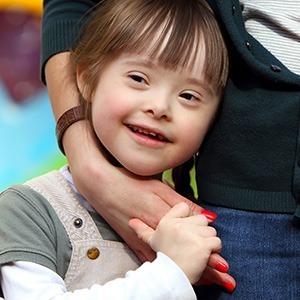 Special needs dentistry falls under the umbrella of pediatric dentistry. Dr. Paulson is specially trained in treating patients with special needs and understands that treatment strategies should vary depending on the needs/desires of the patient and family. Parental/family consultation is paramount for balancing the desire for optimal oral care with the psyche and comfort of the patient. Included in our treatment strategies for special needs children is the optional use of passive restraint during dental cleanings/treatment and occasional deep cleaning of the teeth under general anesthesia.